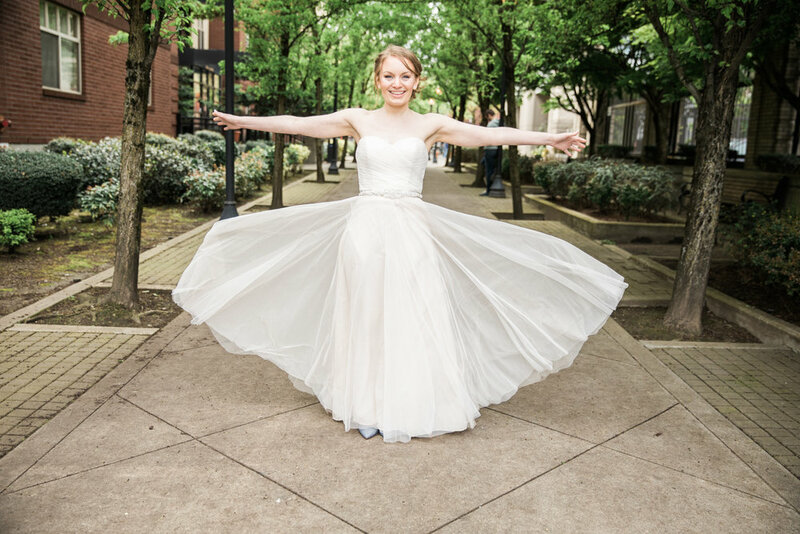 How can you not be excited about a wedding where the entire day takes place at a historic brewery in the heart of downtown Portland?? 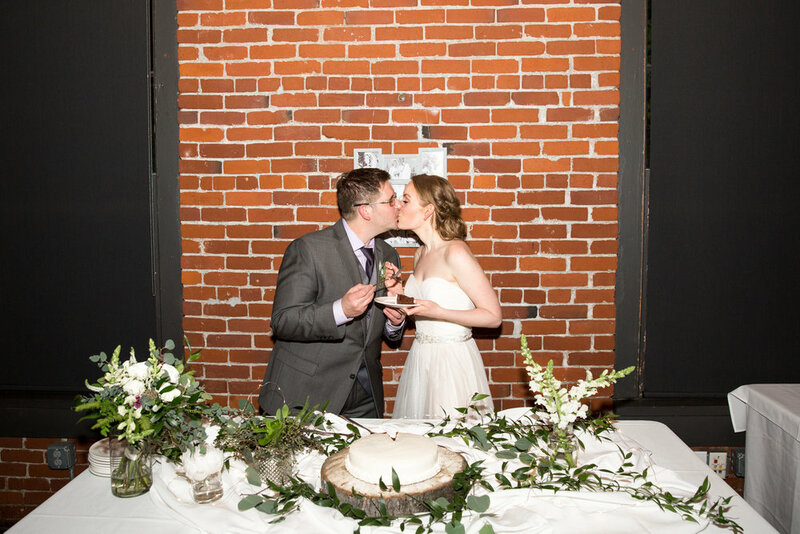 Evan & Krista opted out of the traditional church ceremony and invited their guests to Bridgeport Brewery to exchange vows and dance the night away. 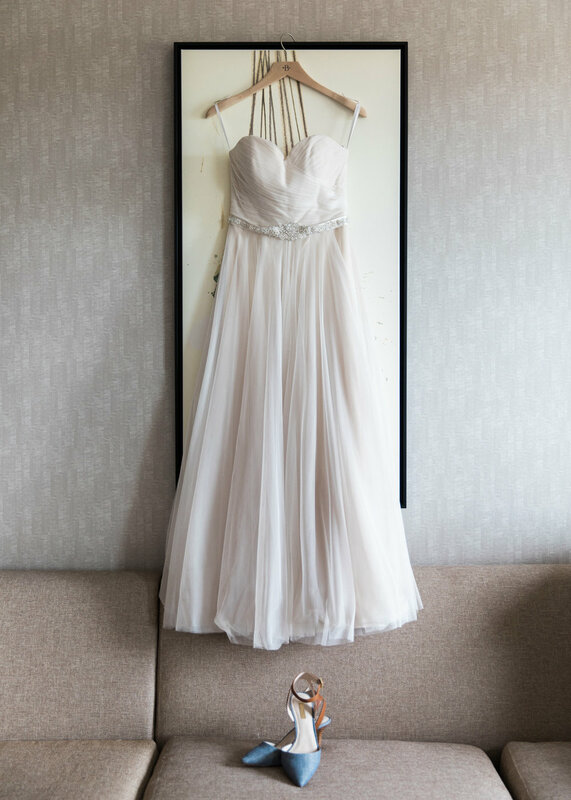 The couple started their day off at the Residence Inn Pearl, where Krista and her bridesmaids were glammed up by Erin Purvis. Once the custom bouquets from Sammy’s Flowers arrived, they were ready for photos with Evan and his groomsmen. 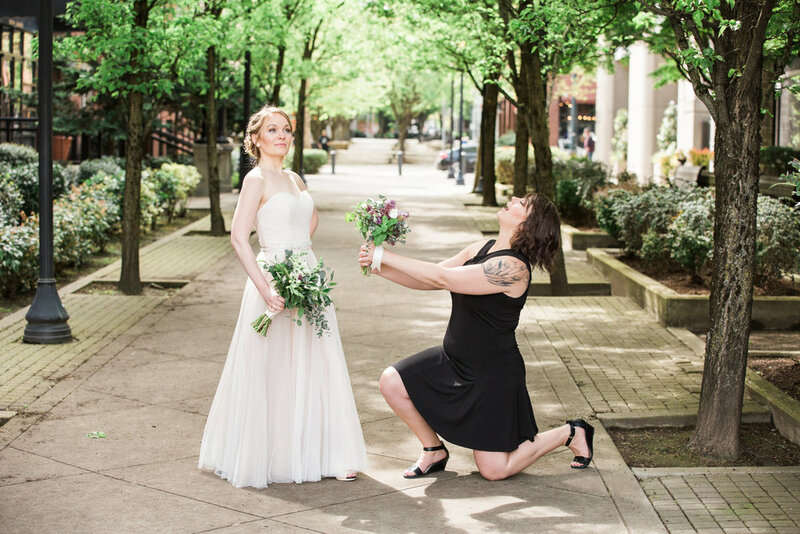 Dima Karpenko Photography was there to capture the couple and their closest friends on a sunny walk through Portland. 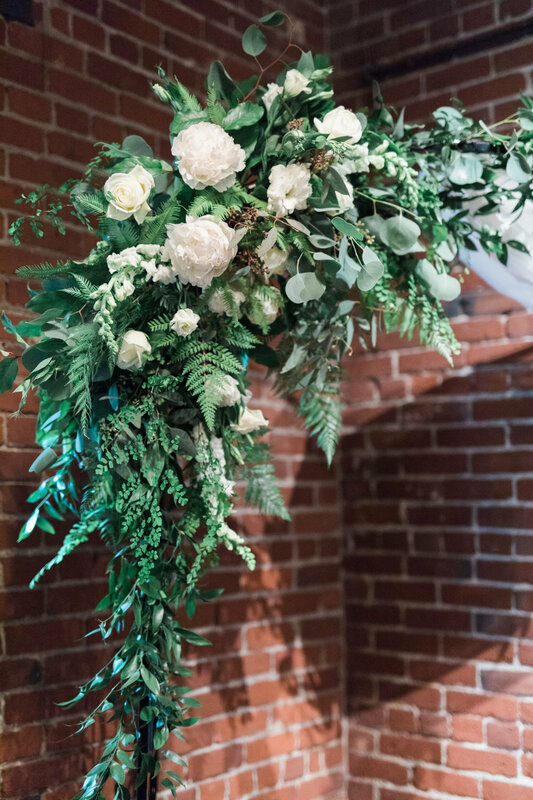 Back at the brewery, Sammy’s Flowers put together a gorgeous arch for the pair to say “I do” beneath. Guests arrived to a custom mix of music played by Jason with Chad Dowling Productions. hey had the opportunity to sign a very unique (and gorgeous) travel, art book that the couple picked specifically for this day. 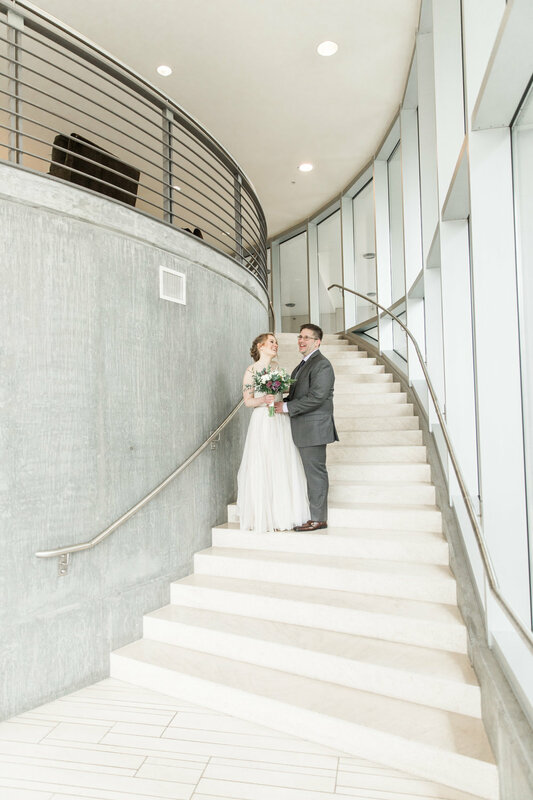 Once the ceremony started, guests were asked to squeeze in close for an intimate ceremony officiated by friend Brett Grossman. After the pair was officially a Mr. & Mrs. guests were treated to scratch cocktails and appetizers from Bridgeport Brewery, before sitting down to a plated meal. 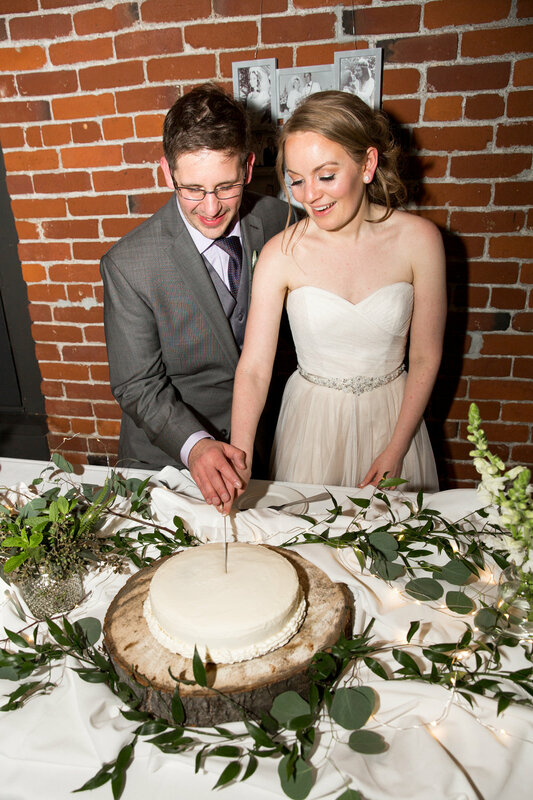 The brewery, also in charge of the wedding cake, didn’t disappoint with a delicious assortment of beer influenced treats, including their signature Old Knucklehead chocolate cake and Beeramisu. This was a night to remember for a couple that exudes love for one another! Congratulations Krista & Evan, to many more years of love, laughter & beer!